Windows data recovery software provides complete solution for recovering deleted music files, video folders, pictures, photos and other similar files in all windows partition volume of crashed hard disk drives. Software retrieves files lost or corrupted due to partition table, boot sector, formatted, lost, deleted files of laptops and desktop systems. 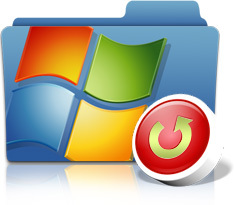 Have you suffered data loss from windows hard disk drive due to? Data lost due to formatted windows FAT and NTFS file partition system. Deleted data because of reformatted, formatted partitions. Bad sector affected storage media. » Recovers deleted data files from all windows partition volume of hard disk drives. » Support all major camera brands: Canon, Kodak, Nikon, Fuji, Konica, HP, Sony, Samsung, Panasonic, LG, Epson, Minolta, Olympus etc.